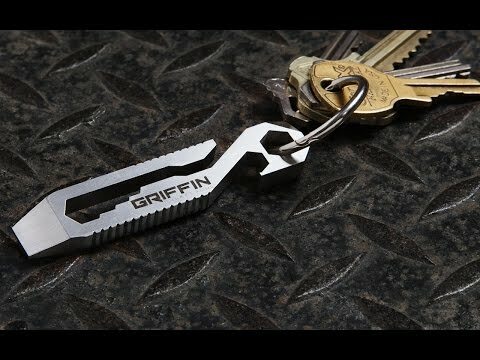 This pocket tool sits discreetly in your pocket, streamlining the bulk from your keys and keeping anything you might need handy. It’s a sleek metal strip that opens bottles, adjusts flathead screws, scores material, pries things open, and drives in up to four different-sized hex screws and bolts. Dimensions: 3.0" x 0.6" x 0.2"
gave this to my 18 year old nephew who likes robotics, he seemed to like it and thought he would definitely use it. This tool has many options to help in any situation. Wonderful gift and size is great for carrying in your purse. All in one tool well thought out and easy to use. This stealthy pocket tool is slim but loaded with utility. 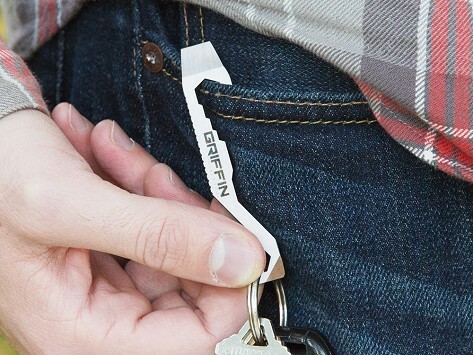 Griffin is a serious multitasker that clings to the rim of your pocket—holding your keys in place and reducing bulk. If you take a close look, you’ll notice the tools are embedded in almost sneaky ways. Keep it handy to open bottles, adjust flathead screws, score material, pry things open, and drive in up to four different sized hex screws and bolts. 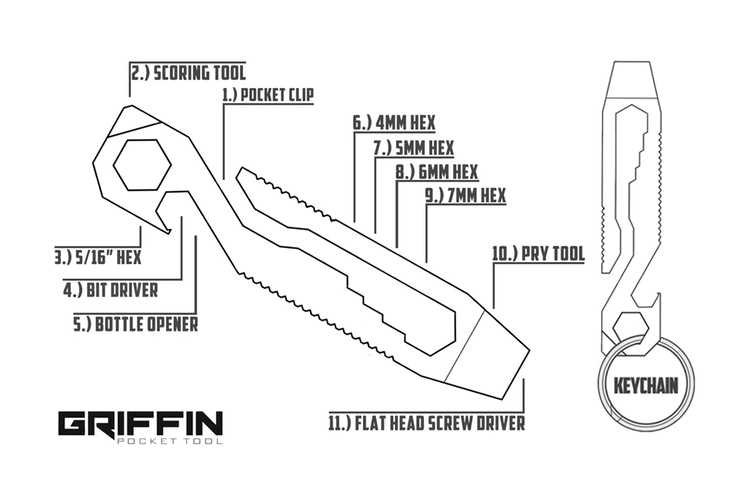 Makers Casey and Jessica Deming designed Griffin Pocket Tool after listing all the loose essentials they carried with them. Their design fuses all of those must-haves into one light, discrete tool.